Just because the Mill will soon be temporarily closed for improvements that doesn’t mean there won’t be anything to do there this summer. Take a look at what we have planned! Join us June 22 and July 27 at 11am to explore the Mill site with our Executive Director, Frances Allshouse. Frances will lead participants around the grounds explaining the history of significant areas and structures on the site. $5 per participant. Did you miss our Adopt a Stone Campaign kickoff last month? Here’s another chance to pick a stone! Visit Sunday, June 28 between 10am and 5pm to choose and adopt one (or more) of the over 3,000 stones that make up the Mill’s southernmost wall. Adoption prices start at just $25 per stone. Interested in adopting more than one stone? Be sure to ask about families of stones! Want to lend a hand at the Mill? We’re looking to organize a small crew to remove the vegetation growing in the stone fence on site. The clean-up session planned for June 28 10am to Noon. Contact Frances Allshouse (chapmanmill@gmail.com) for more information. Beginning this July we’ll be taking reservations for 2016 photo sessions at the Mill. Four hour sessions will be available for a donation of $50. All-day sessions will also be available. Stay tuned for details! On August 2, join us at Barrel Oak Winery for our first wine tasting fundraiser. Tickets will be available in advance at $25 per person. We hope to see you at the Mill soon! Tour the Mill this weekend! Planning to visit the Mill this weekend? Be sure to look for these seven features while you’re there. You can even download our self-guided tour HERE. 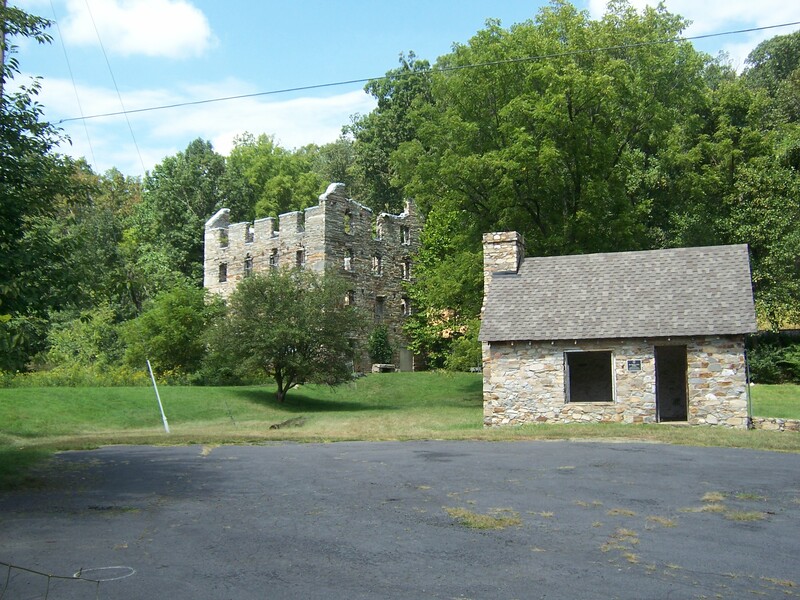 Originally owned by Jonathan and Nathaniel Chapman, the Mill was constructed around 1742 by slaves who stacked quartzite stone quarried from the mountain above. The Mill was destroyed by fire in 1858 and again during the Civil War. The Beverley family acquired the property shortly after the Civil War and re-established the Mill as a major economic center within the community. After more than 200 years of use, the Mill ceased operations in the mid 20th Century. When the Manassas Gap Railroad came to Thoroughfare Gap in 1852, the Chapman family gave the company $2000 to ensure that the rail was laid next to the Mill. As a result, the Mill prospered. By 1858 it was raised to a total of seven stories. The ruins now standing across the railroad from the Mill property once served as the Chapman family home. Meadowland was built in the mid 18th Century. It had two and one half stories, a full basement and fireplaces on each floor. Throughout the 18th and 19th Centuries several outbuildings also stood on the home site. Photographs from the late 19th Century indicate that there may have been several small cabins in this area. It is unclear at present when these structures were built or who occupied them. In the coming months, our archaeology crew hopes to examine the area to see what additional information may be found in the earth. Built in the late 19th or early 20th Century by the Furr family, a concrete slab is all that remains of the wood frame Furr house today. Photographic evidence suggests that the home may have included one or more smaller, older tenements. Further archaeological study may provide additional information about the history of this home. In 1759, Fauquier County was formed from a portion of Prince William County. 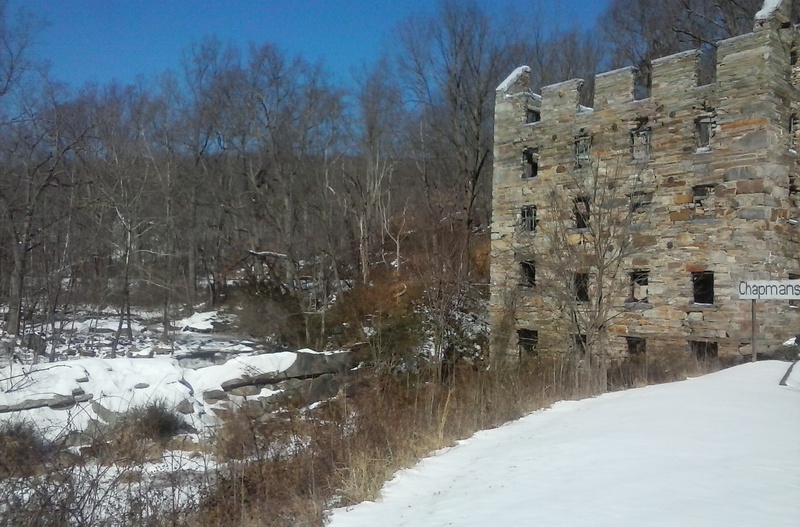 Chapman’s Mill was used as a point to identify the border between the two counties. Today, the Mill still straddles the county line.